We can save you time and money and make sure your products are built on a secure, trusted foundation. TrustiPhi combines agile/test-driven engineering practices with a “design-for-business-objective” strategy to reduce development time, lower project development costs and ensure product alignment with business goals. Whether your company requires a turnkey outsourced solution or augmentation of your in-house development team, we can help. 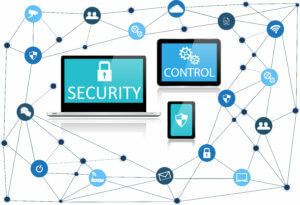 TrustiPhi’s key services focus on security architecture and system-level software/firmware architecture and development. We design and build solutions that incorporate security from the ground up. We can help you prove to your customers that protecting their data is one of your top priorities. TRUSTIPHI IS MORE THAN JUST A NAME. IT’S A PROMISE. Contact us for a consultation at no charge, and let us work with you to find the best solution for your product security needs. We’ll recommend approaches and solutions that meet your needs in a timely and cost-efficient manner.